The luxurious Vortex has a 250mm wide face, for the most complete coverage possible, and 8 unique spray settings, allowing for a fully customizable shower. Using the responsive Intellever, a new spray is only a simple finger flick away. This is the largest multi-function, certified water saving showerhead on the market. Oxygenated water increases spray comfort, helping exfoliate skin and rinse hair. 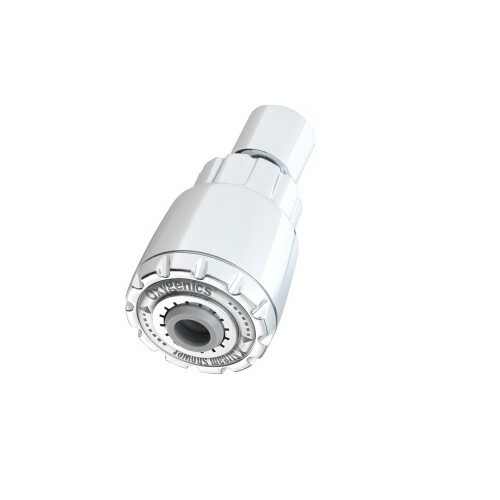 The Multi Vortex (UK) Showerhead requires a minimum of 2 Bar pressure to operate. This showerhead attaches to a fixed shower arm (not a shower hose). Not for use on gravity fed systems.